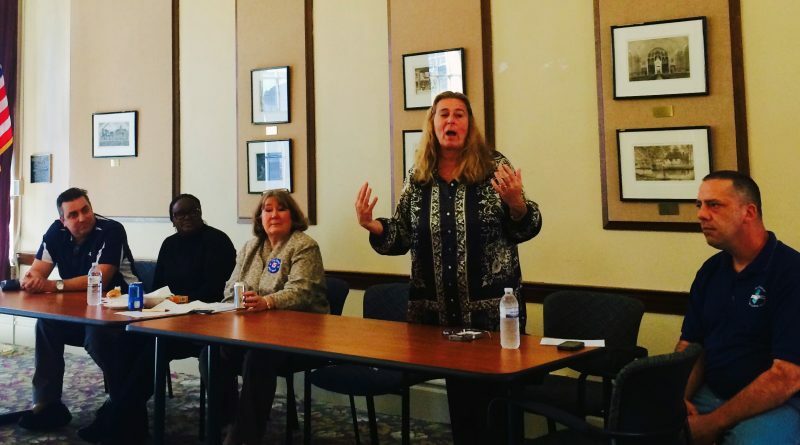 From struggles to protect pensions and health insurance to local contracts with actual increases in take-home pay for the first time in many years, AFT New Jersey and our locals won many victories this year. I hope 2016 has been good for you and your family and wanted to reach out to you to recognize the efforts and solidarity it took to win real gains for members. 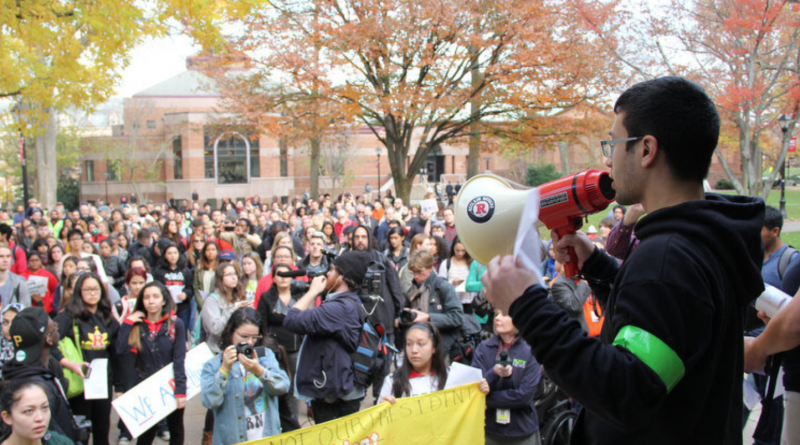 Activists pushing for Rutgers University to declare itself a sanctuary for undocumented students disrupted a meeting of the school’s governing board on Tuesday, even as the administration reiterated its vow to protect the students. 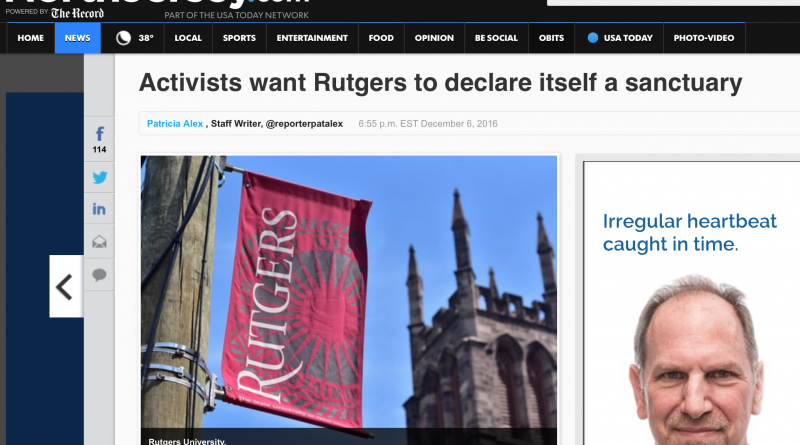 NEW BRUNSWICK – Students staged a sit-in at Tuesday’s Rutgers University Board of Governors meeting, asking that that the university be declared a “sanctuary campus” in response to fears that undocumented students may face federal deportation after the inauguration of Donald Trump as president next year. 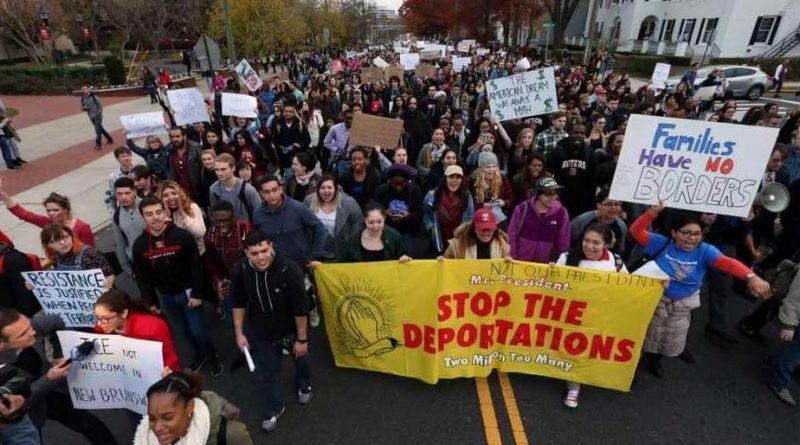 NEW BRUNSWICK — Faced with fears about what might happen to immigrants once Donald Trump takes office, Rutgers University’s president released a statement last month promising to do everything in the school’s power to keep students safe. 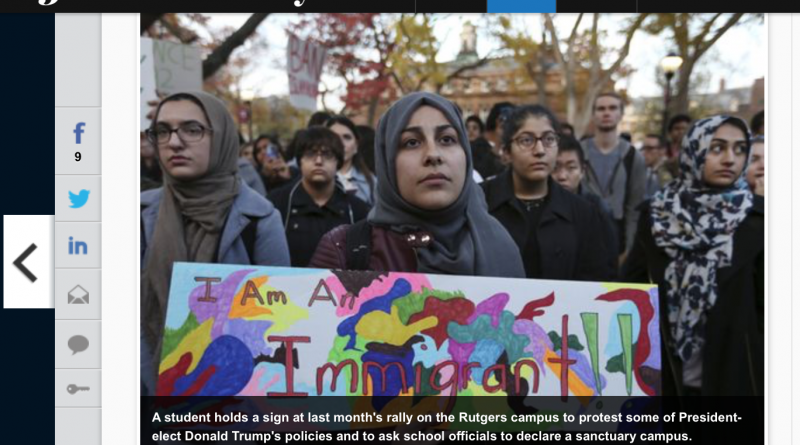 But the Nov. 15 letter to the campus was not enough for some Rutgers faculty members, who want President Robert Barchi to declare the school a “sanctuary campus” for immigrants living in the country illegally.